Intern Jenny reminded me that I had yet to decide on the books I was hoping to read for pleasure before Labor Day passes us by and the new school year starts… I mean, before the busy fall season is upon us. Without further ado — as Dande said “I can’t imagine not reading Catching Fire if I had my hands on it.” I’m also going to dive into the Mortal Instruments trilogy — soon to be a four-book series! — before I’m hopelessly behind. As you’ll recall from my original post, you too can participate for a chance to win a copy of Band Geeked Out by Josie Bloss. All you have to do is also read Catching Fire or any one of the Mortal Instruments books (and just so my clients don’t feel left out) OR any book by a kt literary client, and post a review on your site or somewhere linkable (i.e. GoodReads totally counts). After Labor Day, I’ll put up a “Recent Reads” post, and anyone who comments there with a link to their review of one of the above books will be entered to randomly win Band Geeked Out. I actually had a subject–"I"–in there, but the comment form killed it by adding a paragraph, haha. 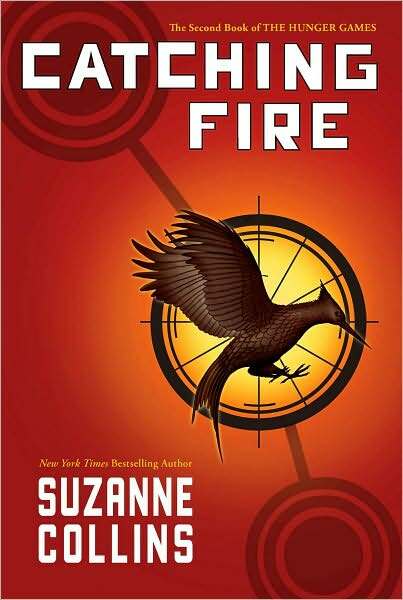 Still, have fun reading Catching Fire! I'm definitely envious. For some reason I decided to torture myself by reading the first chapter online, and now I have to sit on my hands for a few more weeks while I wait for Amazon. Just an observation here: I'm either in love with your clients writing, or impatiently waiting for their first books to come out! I didn't know Alyson Noel was a client! Or Kiki Hamilton! Lili Wilkinson! So you did, Dande! I've fixed your quote. I'm embarrassed that I still haven't read Along for the Ride or Fragile Eternity. I bought them as soon as they came out! And they sound so good!